Brilliant team dance performances always go down so well. When a group of performers can coordinate perfectly, each as a unique cog in a smoothly running system, the results are awesome to behold. 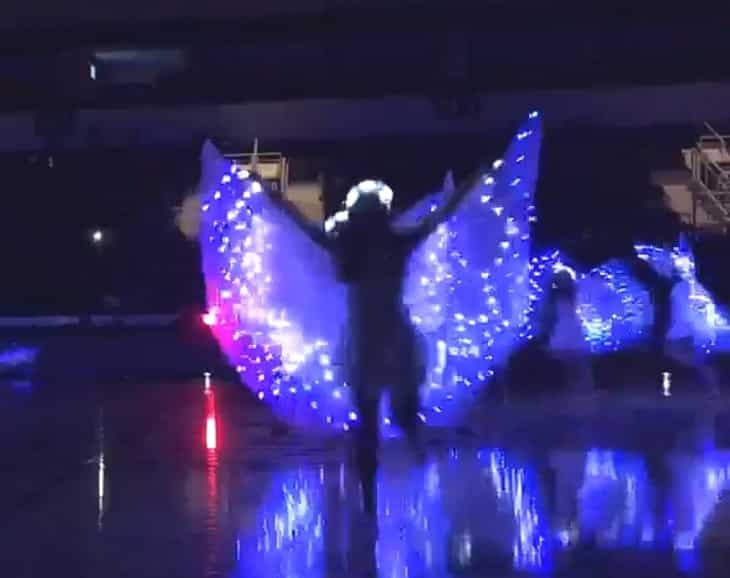 If you’re after one example of this, check out the Dodge City High School girl’s dance group, who were asked to play hosts at the yearly 76th Tournament of Champions. 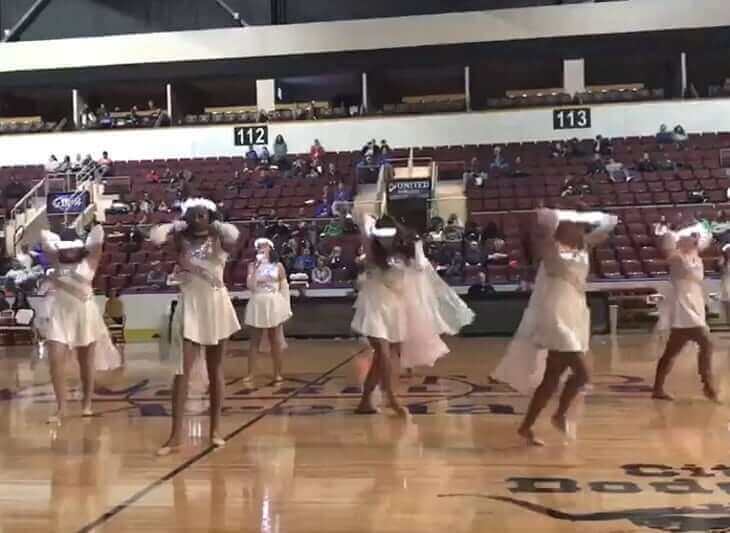 While Dodge City High’s basketball team qualified for the finals, the girl dance group were the real stars in their mid-match performance. Prior to this, everything was going smoothly, until suddenly, the lights cut out halfway through a song. 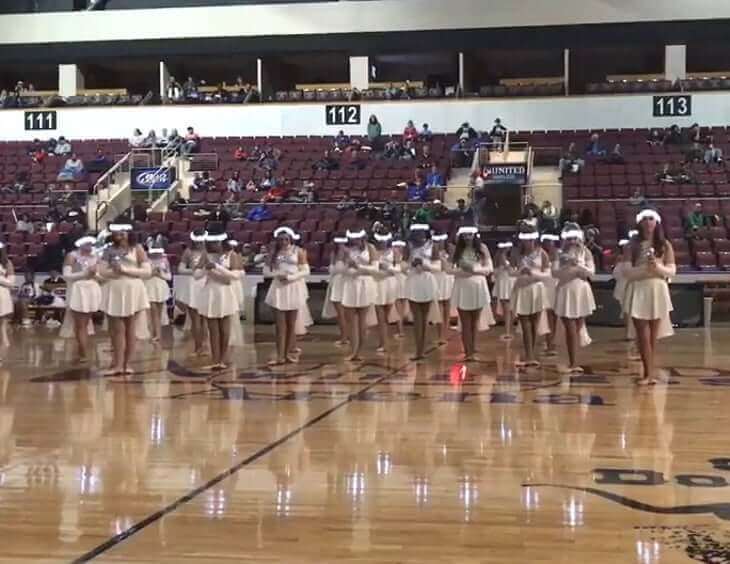 One fan of the dance team, Sue Kidd, posted on Dodge High’s Facebook: “A bit of background for Dodge City HS, located on the western plains of KS. Total enrollment is 2000 students, 81% are minority and of that 76% Hispanic, and with low unemployment in the community. As you would expect, there were many performances taking place between matches and during half-time. Yet not one came anywhere near to how well Dodge City’s team performed. It’s because qualifying for finals was so important for the school, that the girls had put in loads of extra effort to prepare a performance that was worthwhile.